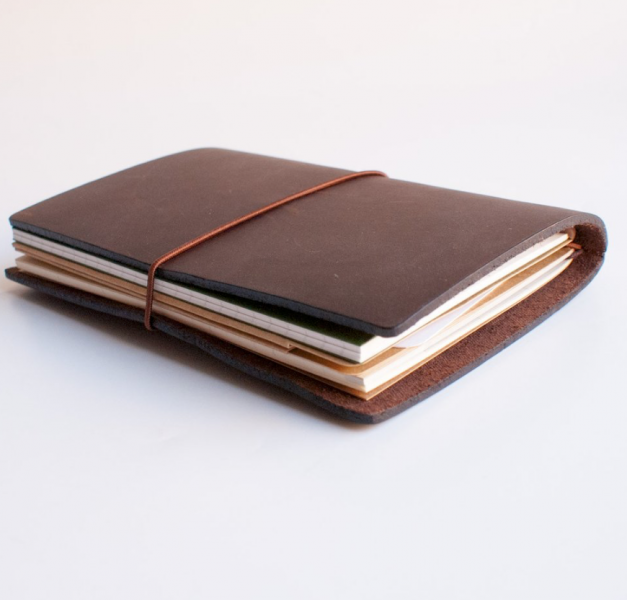 This is the Starter Kit of the Passport sized Traveler's Notebook. 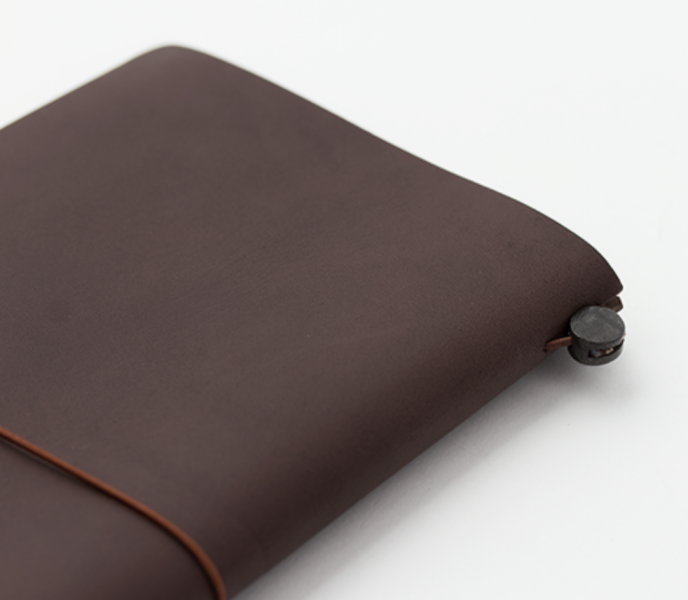 It consists of a leather cover and a notebook with MD paper (fountain pen friendly). 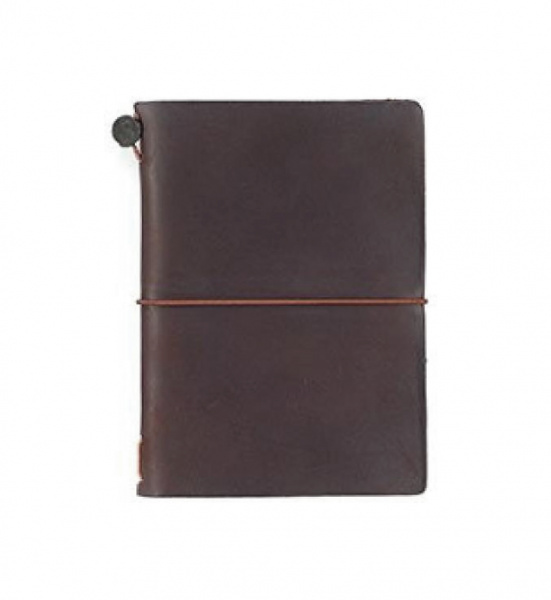 The Traveler's leather notebook has a rustic feel with a design that is simple, yet every little detail has been refined. It's high quality makes for a travel companion that will last a lifetime. Combining this with the vast number of different refills and accessories makes the Traveler more than just a notebook, it's a system that over time becomes so personal, it becomes a lifestyle. 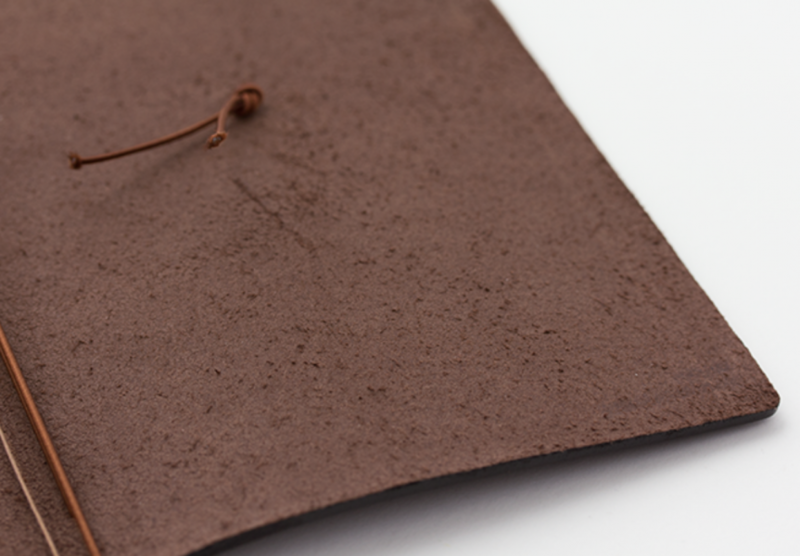 This is a notebook that you can customise freely, and the longer you use it, the more the colour and texture of the leather deepens, making it more personal. 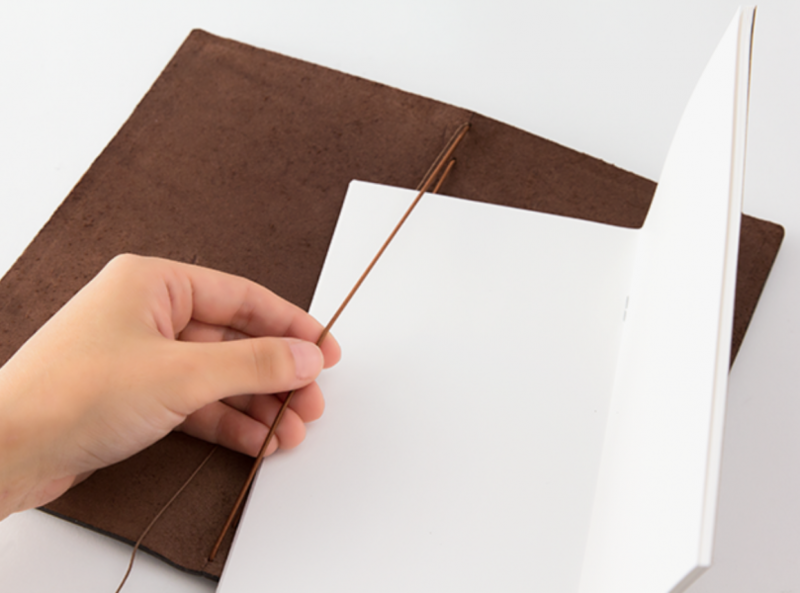 You can increase the number of notebook refills that go inside the notebook by using connecting bands.There are many different accessories designed to use with your Traveler's Notebook including brass pens, pencils, rulers and clips.